Minimum 6 months experience required ctc negotiable please refer your friends. Candidates from Orthopedics & Gynecology background is preferable. Kindly refer good candidate for *MR post* centaur shashavatam div*, *GP & PEDIA*. LOOKING FOR *SCIENCE* GRADUATE CANDIDATE. *Lupin Ltd.(Urology Div) * for the post of Medical Representative. BSc, B.Pharm, D Pharm With One Year minimum experience in Urology. Vacancy of *RSM in Stedman Pharma* at HQ Nagpur & Aurangabad. This is to inform you all that we have vacancy at Mysore, Udupi and Bangalore (Indira Nagar). We have a vacancy for Medical representative. We have Vacancy for Business Executive. Candidate Should have minimum Pharma Experience . CELLAGE A DIVISION OF MEYER ORGANICS. Good working Environment & Better Growth Opportunity. Exciting opportunity from Dr. JRK's Research and Pharmaceuticals Pvt. Ltd.
We have requirements for Medical Representative in below mentioned HQ. Currently we are expanding our business requirement for the following HQ. 1. Chennai. 2. Mumbai. 3. Delhi. Experience : 0 to 2 years. Qualification : D.Pharm, B. Pharm, B.Sc. Chemistry, B.Sc. Biology, B.Sc. Salary is not constraint for the right candidates. Required Medical Representative (BM) for Akumentis Healthcare Ltd. (ZIREX). Experience required : Gyn/Ort at same area. Urgent vacancy in MNC company " Brinton pharmaceutical ltd "
CTC negotiable for right candidate. Vacancy in Merck Limited for Purulia HQ. Candidate must have exposure in Purulia. Interested candidates can contact With Mr Pronab kr Chatterjee (ASM). 6296034242. Urgently needed a SBM for Gland Pharma for kolkata hq. NOTE:- FRESHERS ARE NOT ENTERTAINED, ONLY LOCAL EXPERIENCE MORE THAN A YEAR IN SAME TERRIYORY, WHO HAS GOOD RELATIONS WITH DOCTORS IN SAME TERRITORY WILL BE CONSIDERED. Vacancy With MSN labs , Cardio Division, South Kolkata Covering Corporate Hospitals. HQ : 1. North Kolkata(kakurgachi, phool Bagan, Salt Lake/ 2. South kolkata(Garia, Jadavpur) / 3.central kolkata ( Nrs, Maulali, Ripon St, Cit Road, Tangra,). Exp : Min.6 months...and bike must. Candidate must be science graduate .at least, One year experience and more in pharma. Qualification - B.Sc or B.pharm. 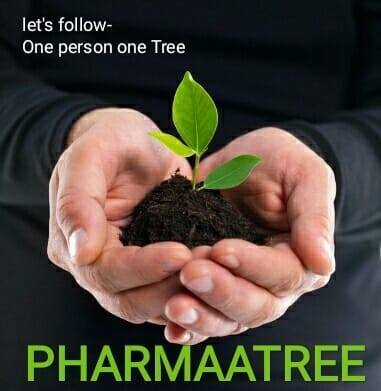 Eligibility- Min 1 year of pharma experience is must. CTC - Depend on current CTC and Exp. COMPANY:TWEET INDIA PHARMACEUTICAL PVT LTD.
SALARY 20% HIDE FROM PRESENT SALARY. Urgent vacancy in Indian Immunologicals Ltd for Barrackpore HQ. Candidate should have a minimum experience of 6 months to 1 year, with Gynae Exposure in same territory. Experience should be on Pharma industry. Narendra Babu (BM) - 7618771102 ..